Located in the heart of Little Rock’s vibrant Riverdale neighborhood, Riverfront Plaza enjoys excellent access to some of the city’s best restaurants and residential areas, as well as central Arkansas’s most scenic walking and biking trails and parks. The campus has spectacular river views anchored by the downtown skyline to the east and Pinnacle Mountain to the west, and is only five minutes from downtown and 15 minutes from Bill and Hillary Clinton National Airport. 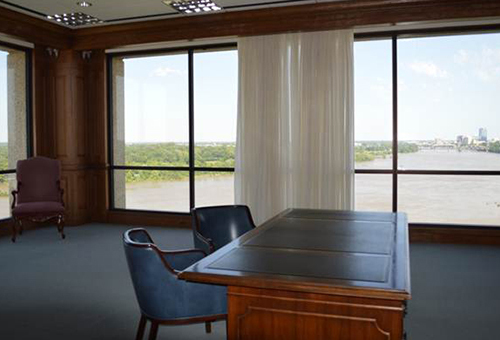 Amenities are plentiful at Riverfront Plaza, including ample parking, use of a 70-seat audio-visual-equipped auditorium which may be rented on a per-use basis and an on-site gym. 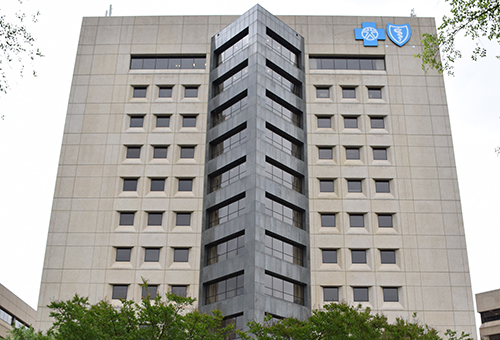 Tenants include Arkansas Blue Cross and Blue Shield, Colliers International | Arkansas, Dale Capital Partners, Novasys and others. 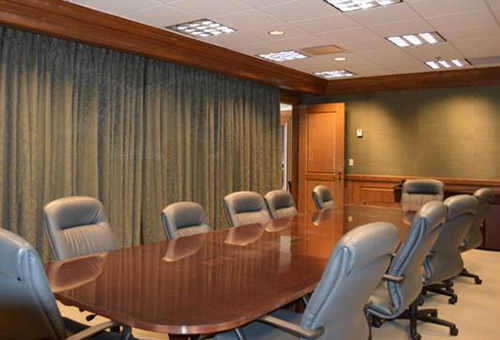 Two executive-suite floors are available in Building 5 at just over 18,000 square feet each.